The Orca Energy ESS, which recently received Type Approval (Certificate No. TAE000026N, valid to August 2022) by DNV-GL for use in battery-powered or hybrid vessels and offshore units, will supply electrical power to each PSV’s propulsion system electrical network to enable environmentally friendly, lower-cost operations. 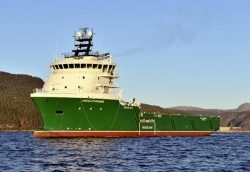 The two Havila-owned vessels are part of a larger group of PSVs that were awarded long-term charter contracts by Statoil, on the condition that they convert to hybrid power operations using batteries. The 94m Havila Foresight and the 93m Havila Charisma will each be fitted with a 1,000kWh Orca Energy ESS, supported in part by the NOx fund. With these two additional vessels, this now makes six vessels awarded to Corvus Energy, under charter by Statoil. The hybridisation of these two vessels is part of Statoil’s efforts to reduce emissions from its logistics activities, and the company has mandated that all new charters should utilise energy storage systems during all aspects of the PSV’s operation, particularly during dynamic positioning and harbour operations where fuel consumption and emissions will be reduced. In other news, Corvus Energy has been selected by Rolls-Royce to supply its Orca Energy ESS for the Norwegian Coastal Administration’s new multipurpose vessel OV Ryvingen. The Orca Energy ESS will supply electrical power for all-electric propulsion and for electrical needs while docked. Scheduled for delivery towards the end of 2018, the 46.6m-long and 12m-wide OV Ryvingen is the Norwegian Coastal Administration’s second vessel to combine diesel power with battery-driven operation, and the fourth vessel in the Norwegian Coastal Administration’s fleet renewal programme, consisting of six to eight ships in total. The Ryvingen performs operations relating to oil spill protection and the maintenance of shipping lanes. 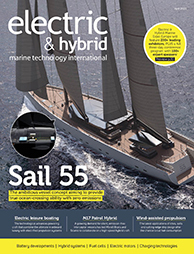 The Orca ESS with which Rolls-Royce will equip the Ryvingen will have an available capacity of 2,938kWh, enabling the vessel to run on battery power alone for several hours, without using the diesel engine. In addition, the batteries will provide power when the vessel is docked. The batteries will be recharged from an onshore power supply in ports where available.